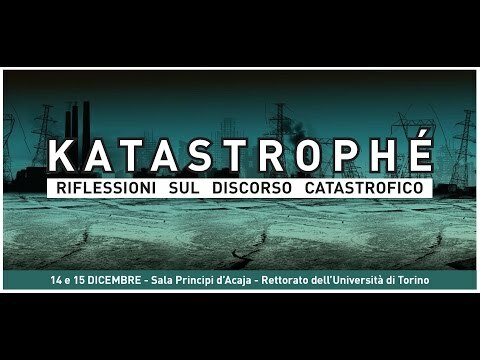 On Wednesday 14 and Thursday 15 December 2016 at 9.00, the conference "Katastrophé: reflections on catastrophic discourse" held by the PhD students took place at the Sala Principi d'Acaja of the Rectorate (Via Verdi, 8 - via Po, 17 - Turin) and young researchers from the CIRCe - the Interdepartmental Research Center for Communication and the Foundation for Research and Talent. Disasters, cataclysms, apocalypse. Journalistic rhetoric and media imagery tell us about a declining world, whose horizon is getting harder to see. Political apocalypse, ecological disasters, plots from the end of the world. But what is the boundary between mediated narration and current or future dangers? What makes catastrophe so rooted in the collective imagination? How does it propagate in society and through the media? The Katastrophé conference wants to analyze today's disaster response, providing useful tools for understanding, preventing and disseminating information. This is where the conference program will be available to the full-time two-day workshops.